In the last few months I’ve received a fair amount of e-mails from readers asking my serious opinion of Guayakí Yerba Mate. The majority of these emails seem to come from North American readers who have recently started to drink mate and are apparently concerned about the “authenticity” of their yerba mate experience. If often get asked if Guayakí is the “real deal” or just an americanized version of mate. To be honest, I have never tried any of Guayakí’s products, simply because they are not widely available in my region and when they are, they cost way too much. Despite of this, Guayakí has always been on the back of my mind and it should be on the back of your mind as well. If you have spent as little as 5 minutes looking up information about yerba mate on the web, then you have probably already come across this brand. Eager to find out more about America’s most popular yerba mate brand, I decided to roll up my sleeves and learn a bit more about them. To fill in the blanks, I contacted the company directly and had my questions answered by David Karr, co-founder and Vice President of Marketing. In this article, I bring to you a summary of my findings as well as the full interview with Karr. According to Bloomberg, Guayakí Sustainable Rainforest Products, Inc., is a US-based beverage company founded in 1996 by college buddies Alex Pryor from Buenos Aires and David Karr from California. They sell mainly organic yerba mate beverages in various forms, including bottled cold drinks, cans, energy shots, traditional-style gourds, tea bags, and loose leaf. The company sells its products through their own online shop, food retail stores and restaurants in the United States; grocery stores in Canada; and retailers internationally. Using a market driven restoration business model, Guayakí connects customers’ purchases of mate products directly to farming communities in South America. Farmers sustainably harvest organic yerba mate in the rainforest, which generates an income for their communities. With this renewable, stable income, communities are able to restore their lands and improve their lives. While I have seen this same model being performed by other brands, I must admit Guayakí seems to go that extra mile. From biodegradable packaging to solar power arrays and reforestation projects in South America, they sure try hard to stay on the path of sustainability. According to their own website, their mission is to steward and restore 200,000 acres of South American Atlantic rainforest and create over 1,000 living wage jobs by 2020. After taking the full tour of their website and watching some videos online, I got a full picture of their work in South America, but I still knew very little about their operations in the United States. I really wanted to get a feel for the type of people who consume their products and just how did they manage to bring such a traditional beverage to such a “untraditional” market. Through my readings, I have seen diverging opinions on the percentage of North Americans who know yerba mate. Some say 3% and others say as much as 7%. In your opinion what it the current percentage of the US population, who is aware of the existence and benefits of yerba mate? 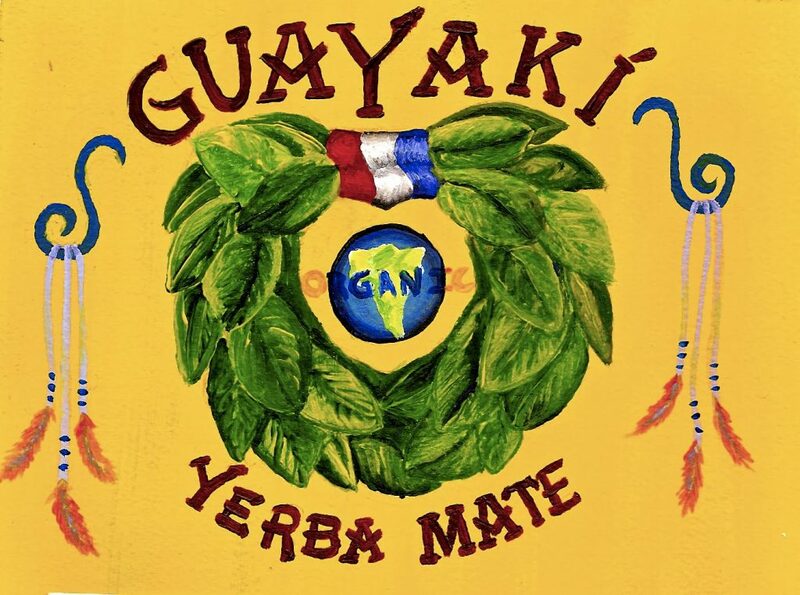 Its impossible to search for yerba mate on the Web and not come across the Guayakí brand. I have seen everything from banners, youTube videos, testimonies and so on. Which of your marketing strategies, do you consider to be the most effective one to convert new drinkers? – we have always shared personally, one to one at events – that is for sure the most effective. “My name is … I have been drinking yerba mate for a few months now. I started with Guayakí, because it everywhere here in my area, but now I am ready to try some other brand…. They seem interested to “move on” as they question the “authenticity” of the Guayakí taste when compared to traditional South American brands like Rosamonte, Cruz de Malta, Barao, etc.. Is there really a difference? What would you say to them? – I don’t hear that a lot, (maybe they do in our customer care department). I would answer that they should try any brand for reference and that we are the most authentic mate brand because we solely source (compared to all other brands) mate from its native environment (shade of the rainforest) unlike other commercial brands who have cultivated mate in the sun for ease of harvest and higher yields. moreover, we work exclusively with small farmers and indigenous tribes to procure fairly traded, certified organic mate, again making it a more authentic mate experience – closer to its roots (before it was commercially produced). As it spreads around the globe, Yerba mate is taking on many forms in order to appeal to different audiences for different reasons. In South America, its all about the loose leaf and tradition. In Germany, Club Mate soda is the fuel of the hacker community. In South Korea, yerba mate tea bags are gaining momentum with the female crowd as a weight loss agent. Which yerba mate “form” do you think appeals more to the American consumer and why? – Convenience definitely appeals to US customers which is why our business has evolved to become mostly beverages as a percentage. however, we continue to sell more loose yerba, gourds and bombillas every year. so as yerba mate awareness grows, all forms of yerba mate will become more popular. Yerba mate is not exactly a can of Pepsi. Its strong characteristic flavor is an acquired taste and many tend to dislike it right off the bat. Unfortunately, I have never had a chance to try your yerba, but I am wondering which measures you had to undertake in order to “ease” your product into a market made up mostly of novice drinkers? – We have spent years perfectly our formulation technology to achieve the great tasting mate beverages we have today. You have a diverse range of products, which ranges from loose leaf yerba to yerba shots and energy drinks. Is your client profile as diverse or is the same client who buys a loose leaf yerba and a gourd also buying a few cans of energy drinks for the road? – I believe we have a very diverse customer base, however as people go deeper into the yerba mate experience, i have found that people enjoy all the various formats. so someone may very well drink a gourd or loose yerba in the morning and then enjoy a drink in the afternoon or a shot if they are traveling. So now its time for my take on the whole thing. Is Guayakí the “real deal”? I believe the answer is “it depends on you”. I think they will offer you exactly what you buy. So if you are looking for the ultimate yerba mate experience, but buying their Yerba Mate Wild Berry flavor yerba, then I’m afraid you have chosen poorly. At the time of this article, I still have not tried Guayakí’s loose leaf traditional yerba, so there is very little I can say about it at this point. I will be purchasing some of it very soon and making a full review. I do believe, however, that it should deliver a genuine yerba mate experience for reasons already explained by Karr. Also, there are several definitions of “genuine”. A Chimarrão experience in Brazil is not like a Tereré experience in Paraguay, which is also not like the yerba mate experience in Argentina or Uruguay. So if you are new to yerba mate, go ahead and try as many brands as you possibly can. With time, you will probably find yourself attached to one anyway. Wether your ONE is Guayakí or not, only time will tell. One thing is for sure though, you can always get a quality and safe product from them. Awesome read! I love my Yerba Mate =) My mornings has changed drastically since I started taking this magical drink. It’s significantly more effective than green tea due to its high concentration of chlorogenic acid, Caffeoyl derivatives, and saponins which have anti-cancer, anti-inflammatory, lipid-lowering, and anti-diabetic properties.